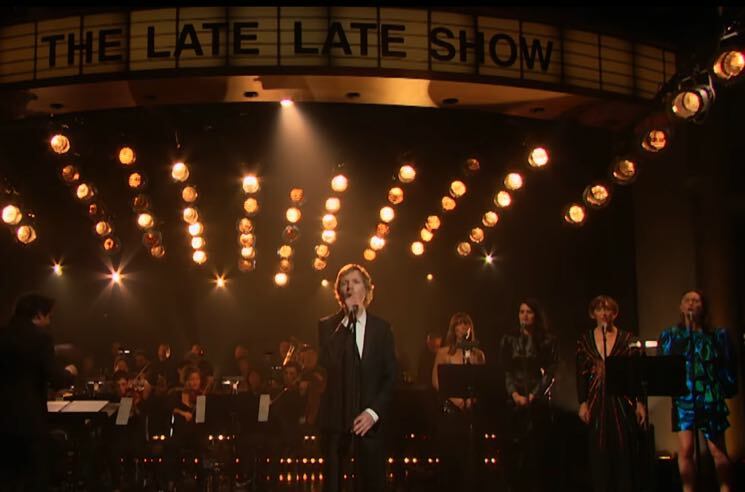 Beck recently unveiled his Roma-inspired rendition of "Tarantula" for the film's companion album, and he brought out some special guests to perform the track on The Late Late Show with James Corden last night (February 4). Feist, who provided guest vocals on the recorded version, joined him, as did Bat for Lashes' Natasha Khan. The singers were additionally supported by the Los Angeles Philharmonic and even got an introduction for Roma director Alfonso Cuarón himself. It's a step above the usual late-night show performance. Watch it below. Music Inspired by the Film Roma is due out on February 8 via Sony Music Masterworks. ​Beck and Cage the Elephant Team Up on New Song "Night Running"
Bat for Lashes "Joe's Dream"